When I started with this book, I was not really expecting too much. For the first couple of pages, I was having problems getting used to the terms like Light Seekers, Dark seekers, Devs, Asurs, Nashwar, Nishachar, etc. But, as I delve a bit deeper, things got clear and I started enjoying the book and there was no looking back! The story in the book takes you into a magical world. At the end of the book, I was simply amazed by the author’s vivid imagination and the way he has weaved a fantastic story. One will find that the author draws inspiration not only from Indian mythology but also from those from around the world. The story revolves around the prophecy of the final avatar that will save the Earth from all the evil aliens and dark forces. This so-called avatar is presented to us in the book as the fourteen-year-old child – Angel (I know such a clichéd name), who oblivious to what destiny awaits him lives in the valley with his friends and father. But, his perfect life is soon going to get unsettled. We will know about that in the book. There is too much happening in the plot that it is difficult to summarize in a review. Although I admit that I loved reading the book, I do wish the author had named the characters differently. 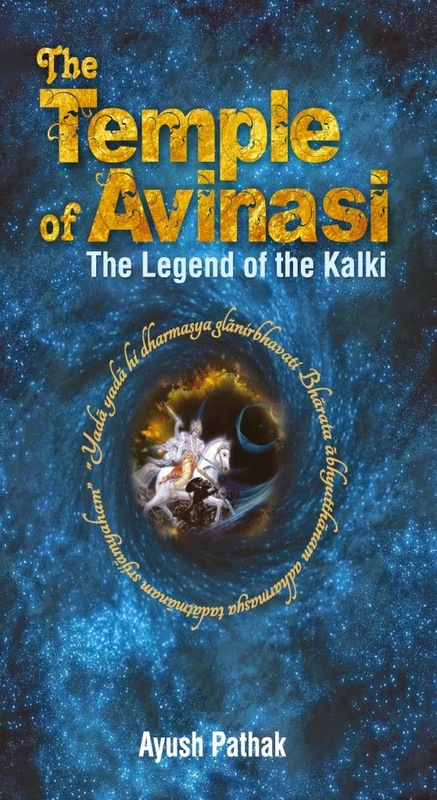 This book is supposedly based on the Kalki avatar from Hindu mythology. But, when you hear that he is named ‘Angel’ – it doesn’t quite sync well. Also, I found Angel’s father name funny - Mr Betterclouds! Also, I felt the author had only the Indian readers in mind when he wrote this book because words like Nishachar, Nashwar, etc., won’t really go well with readers who do not have much idea about such Hindi words. The language used in the book is simple. The author has made the effort to put in every single detail of the world he talks about in the book. You can imagine each and every scene as it if is happening right before your eyes. The story moves forward smoothly and swiftly, keeping the readers on the edge. There are many layers of the story and each of them gets unveiled at appropriate times throughout the story and it builds the tempo. This book is the first one of the six book series that the author has in mind to write. With this book, he has raised the bar quite high and I am hoping he lives up to the mark in the rest of the books in the series. I will certainly look forward to them. I received this book from Leadstart publishing in exchange for an unbiased review.